Postmates Review | How Much You Can Make, Pros, Cons, & More! Are you one of those people who prefers to stay at home and binge watch the latest sitcoms during the weekend? If not, are you an enthusiastic person looking to make money without having to be employed in a boring 9-to-5 job? If you are, then you have the option of becoming a network partner in one of the most lucrative industries in business today – food delivery websites and apps! The food delivery business is taking over in the age of the internet, Android, and iOS. While ordering food from nearby restaurants was common in the past, the present offers modern features such as tracking your order and paying online to avoid fidgeting for the exact change for the delivery guy. We will be reviewing one such website that lets consumers order food, groceries, and alcohol while providing tremendous partnership offers to people who wish to be a part of the brand. Postmates is an on-demand delivery service that commenced its operations in the year 2011. It is headquartered in San Francisco and is busy transforming the process in which food and groceries are ordered. It operates on a network of couriers to deliver goods locally to consumers. The service uses the help of mobile phone applications and a GPS system to track orders and keep track of inventory. The business model of Postmates is fairly simple. It receives orders from consumers and they are passed to its fleet, consisting of third-party merchants who take the responsibility of delivering food orders. This feature involves getting food delivered to consumers from various restaurants. Postmates offers a lot of restaurant options to choose from along with cuisines such as American, Thai, Italian, Chinese, pizza, Mexican, and fast food. Postmates delivers grocery products under their ‘Fresh’ range. The grocery products range from dairy and eggs to poultry, fresh veggies, and baby food. The grocery items are guaranteed to be delivered within a span of 45 minutes. All variety of drinks are delivered. These range from beer, spirits, and wine to soft drinks, mixers, and snacks. They also deliver products containing tobacco like cigarettes and cigars. Postmates offers easy-to-use services to its consumers and business partners. It provides an easy to order mobile app and web services for consumers to order and for potential business partners to sign up and become a part of the team. Let us cover each segment in detail. Consumers are provided with an easy to use and guided system that helps them place and track their orders according to their convenience. The app is available for download on Google Play and iTunes. The website is also very easy to use and secure, which makes it consumer-friendly. Consumers can browse through the menus of a variety of restaurants and choose the dishes that they would like to order. Once they have selected their meal options in their cart, they can confirm the order by making the payment for their food. Postmates also provides customizable options to consumers. In case a consumer has specific requirements for the food that they are ordering, they can simply create a custom order with their specifications. What’s more? Consumers can even schedule a delivery for a later date or time. One can choose from 30-minute time slots up to 7 days in advance. This option could be a great one to explore in case one is planning to throw a party. Once an order has been placed successfully, an email confirmation will be sent to a consumer with the scheduled date and time. A delivery can be canceled without incurring any additional penalty as long as the order has not been dispatched. The scheduled date and time cannot be changed once an order has been placed. Consumers will need to cancel and reschedule the order in case they require any specific changes with regard to scheduling. Postmates delivers products to their consumers by way of home delivery or by giving them an option to pick up their order. One can walk into a favorite restaurant to claim their order without having to wait in long queues. There are a few limitations though. A pick-up order cannot be converted to delivery at the moment, so if you opt for a pick-up, you will need to collect the order yourself. If you fail to do so after the order is processed, you will not be paid a refund. Postmates, in general, charges a flat delivery fee of $5.99. Orders from a few restaurants come with a specific delivery charge. The delivery charges are mentioned clearly before a consumer even adds the order to their cart. Additionally, a prorated service fee is charged from consumers based on their gross payable amount. While it maintains a transparency about its delivery charges, you can opt to tip their delivery guy using a digital tipping feature available on the app and website. There is a surge charge applied on deliveries during peak hours. Postmates Unlimited is a special membership option available for consumers to benefit from. With Postmates Unlimited, orders over $20 are delivered for free, and there is no surge pricing applicable. A monthly subscription option is available for $9.99 and an annual plan for $83.99. You can also opt to send gift cards to your loved ones via e-mails. They are available in denominations of $25, $50, $100 and $200. The best part about these gift cards is that once they have been added to a Postmates account, the funds will never expire! Postmates is very meticulous when it comes to addressing queries from a consumer. They have provided a list of issues that a consumer might face after placing their order and have answered them with an easy to understand guide. In case a consumer’s query is not listed in the guide, they can contact the company’s customer care through e-mail. Food issues demand a quick redressal, and Postmates delivers the same. A consumer can even contact the customer service team 48 hours after delivery. Joining the Postmates Fleet is a very easy task. In order to become a Postmate, you are required to sign up and create an account. After signing up, you will be prompted to fill in the required information, complete the Fleet Agreement, and pass a background check. Once those tasks are done, your account will be activated and an e-mail notification will guide you further. Postmates is built on motivation. Every Postmate who completes 10 deliveries becomes eligible for a PerkSpot program, which gives them active access to benefits from local and national shops. A Postmate who has completed 25 deliveries is automatically subscribed for Postmates Unlimited subscription which is free of cost. 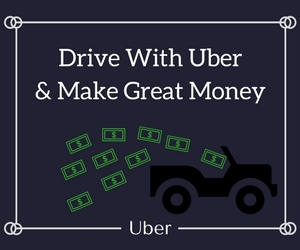 They are also given the benefit of Blitz Pricing, a surge in delivery costs during peak hours, which helps Postmates to increase their earnings in addition to a variety of bonus and incentive options. Postmates Fleet members are encouraged to contact the customer support team in case of queries or issues pertaining to deliveries. They are provided with the requisite guidance in establishing themselves as an important link in the Postmates delivery chain. Postmates boasts of having completed 3 million deliveries per month from local businesses. This statistic encourages entrepreneurs to take their business to the next level by partnering with them. A seamless and easy-to-use app and website. Provides a total solution for food and beverage needs. Delivers to 29 cities with a strong network of 25,000+ network partners. Offers to deliver food from a large number of restaurants. Customer service is very prompt and helpful. Applicable charges are mentioned clearly and there is no room for confusion. Delivers groceries, alcohol and tobacco items. Provides good earning opportunities for network partners and merchants. The payment process is very simple and lucrative. Charges a blitz (surge) price on deliveries during rush hours. A pickup order cannot be converted to home delivery at present. While the concept of food delivery apps is on the rise, finding the right one meeting your needs is a difficult task. With an option like Postmates, life becomes a lot easier because there is someone to take care of one’s edible needs. Whether it be planning a housewarming party or simply not feeling good enough to dine out in the cold weather, one can easily choose to solve the matter using a trusted partner like Postmates. They deliver anything, anytime, anywhere.